Inspired by a close friend.....who will remain anonymous. These little devils are too intelligent for their own good. They are very book smart but lack street smarts. They get into mischief constantly but are a ton of fun. Geeky and cute, what's not to love? 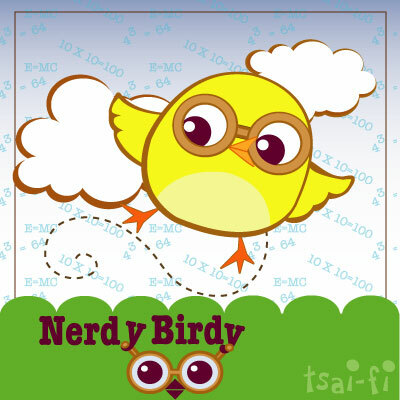 These darling little Nerdy Birdy's are available in figures, prints, apparel, jewelry, and other accessories.